Hello friends, today I’m sharing a FUN and COLORFUL project you can work on together with your little ones. Painted Wood Instruments! It’s a perfect kids craft you can work on this Summer. 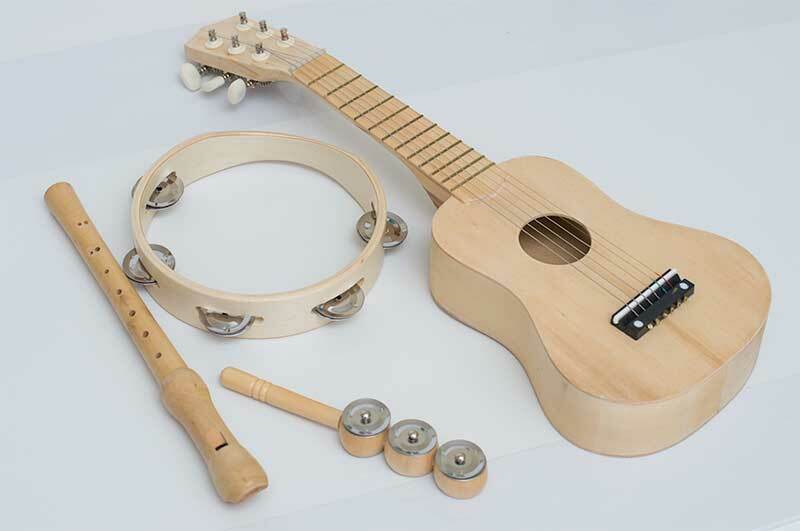 I found these wooden instruments on the Darice site and I saw so much you could do with them. 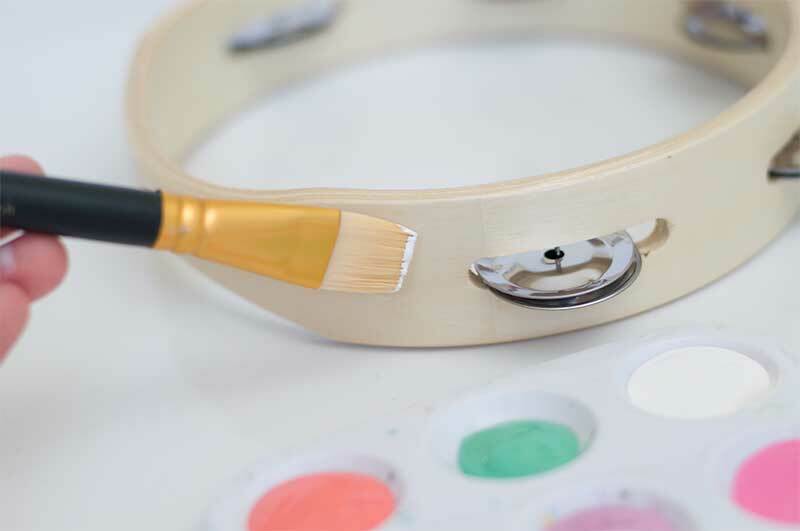 You could leave them natural OR give them a quick makeover with just some bright and colorful paints. Of course I had to use some of my favorite DecoArt colors for this project. 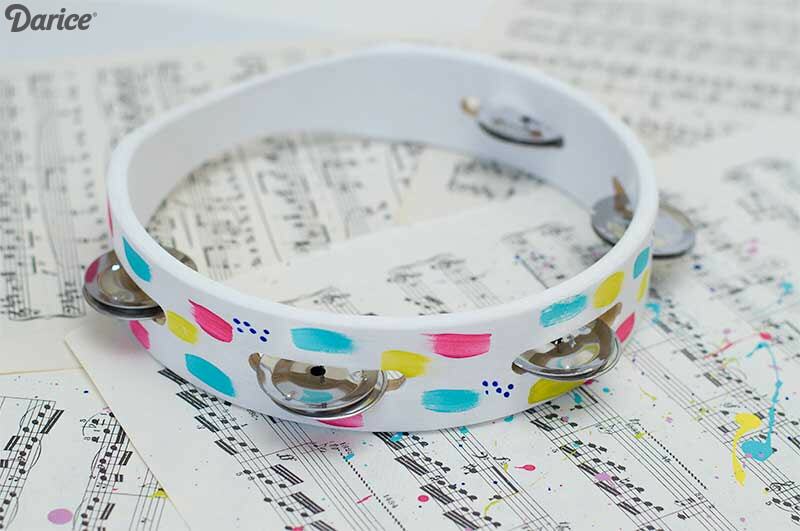 This would also be a fun project you could work on if you have a music class and want to let the kids personalize their instruments. Pick out your instruments. 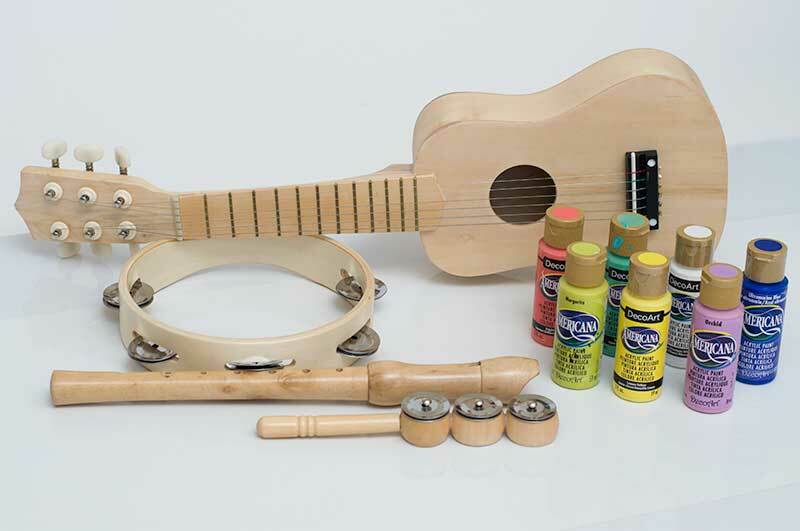 I held off on the guitar for a bit, I have an idea I want to try later on with my son. I’ll keep you posted! 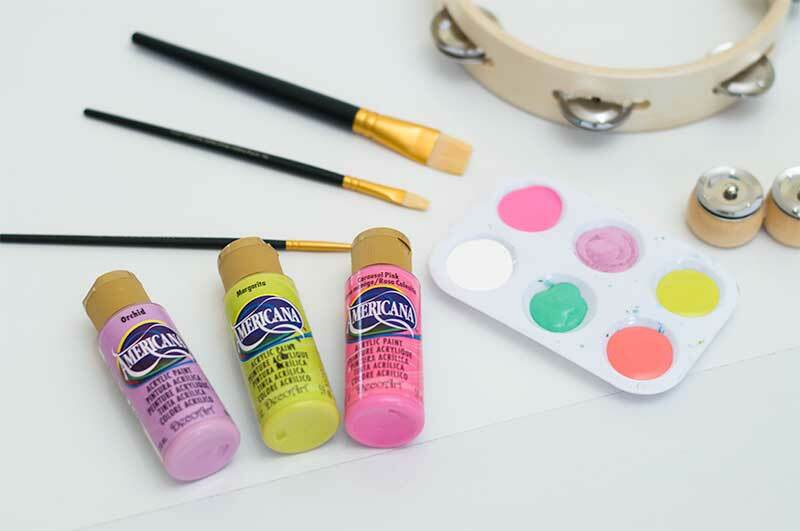 Make sure to grab some bright and colorful paints for this project. I used acrylic paints for this project and they went on great. 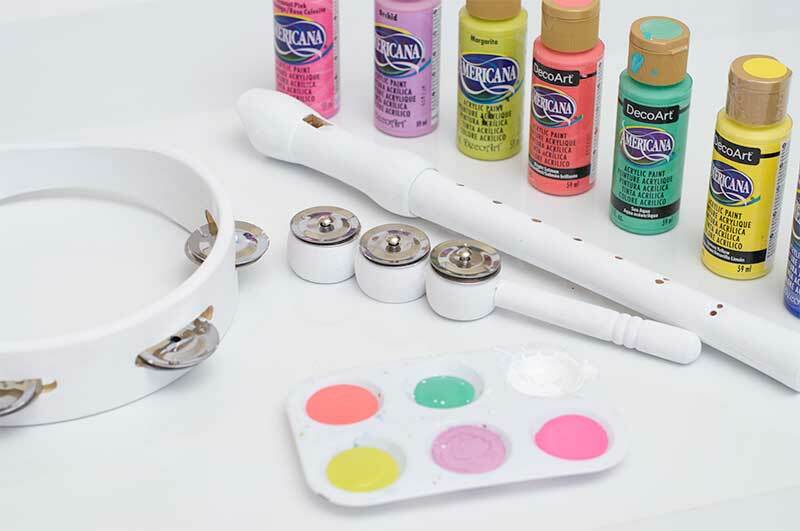 First I painted all the instruments white. I did a total of three coats with the white paint. This paint dries really fast on these instruments. This could be a step you do before the kids start painting, especially if you have younger kids. Once the white paint has dried it’s time to start adding your POPS of color. You can give them direction with this step or let them be as creative as they want to be! You’d be surprised at how detailed some of these kids can get with projects like this. My 5 year old son takes his crafting VERY serious, he loves a detailed project like this. There you have it! It’s a fun project you can have done in a day. Hope you enjoyed this cute little makeover. 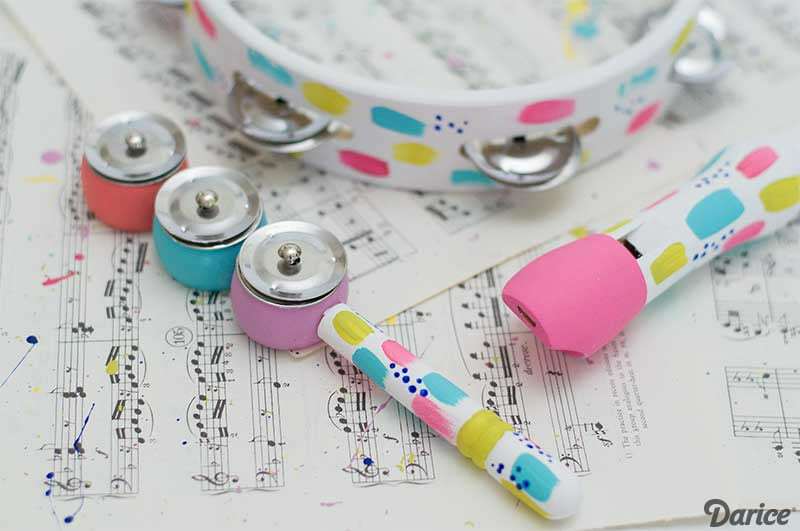 I’ll be setting up a little area in the kids playroom for these colorful instruments. 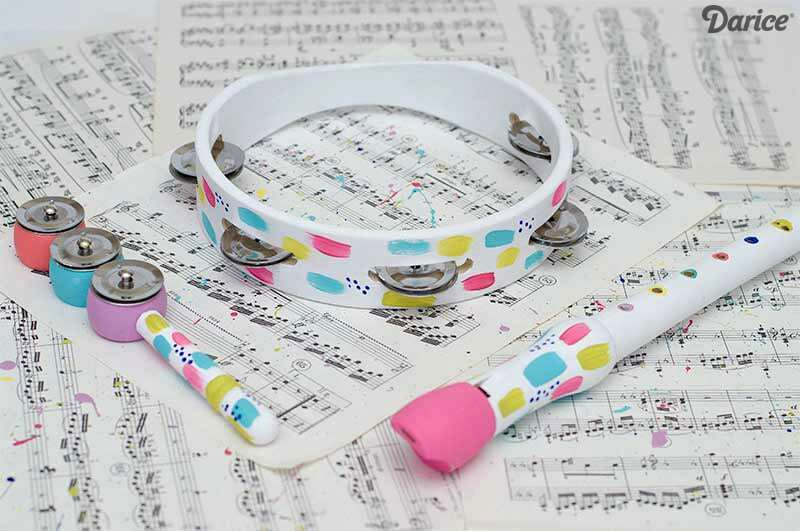 Something where they can easily grab them and play some music together. Thank you so much for stopping by, and I hope you have a great week!